Uday Hussein was Saddam’s oldest son. Around the time of the first Gulf War he obtained a Ferrari F40, which he kept as part of a massive collection of luxury cars until he was killed by US Special Forces in 2003. When Iraq was invaded that year, the F40 was reportedly at a garage in northern Iraq having some work done. Abandoned when Uday died, it can still be found beside a dusty track somewhere in rural Iraq. 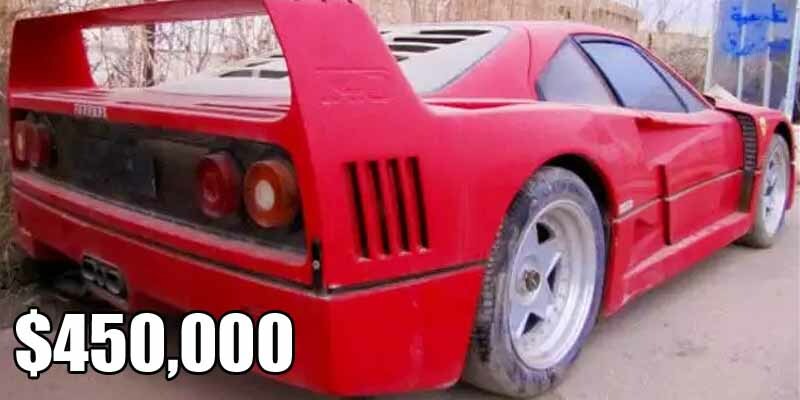 Well looked-after F40s sell for around $450,000.